We are a friendly, professional & courteous door to door pet service. At Pets 2 Places we use cars like any other taxi service. This means your animal can sit with you which helps them stay calm. We also charge one simple price for our service so its easy for you to understand. We started out taking our customers to the vets but have expanded into many other areas. – Our vehicles are fully adapted and insured. – Our drivers are all DBS checked, wear a uniform and are caring, experienced animal handlers. – We are used to helping elderly, less mobile and disabled pet owners; as well as professionals with limited time. 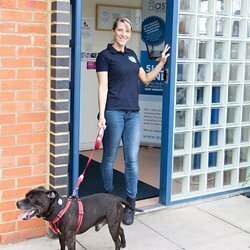 If you love animals and would love to start a Pets 2 Places service in your area, click below to find out more. Pets 2 Places started in 2014 in Milton Keynes by Claire the owner. 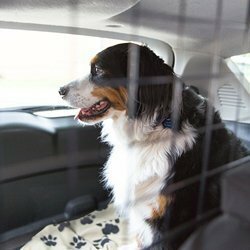 There was a gap in the market for a pet transportation service, coming from a background working with the elderly and a love of animals, Pets 2 Places was born. Claire wanted to create a service that was easy to use, easy for people to understand and as stress free as possible.